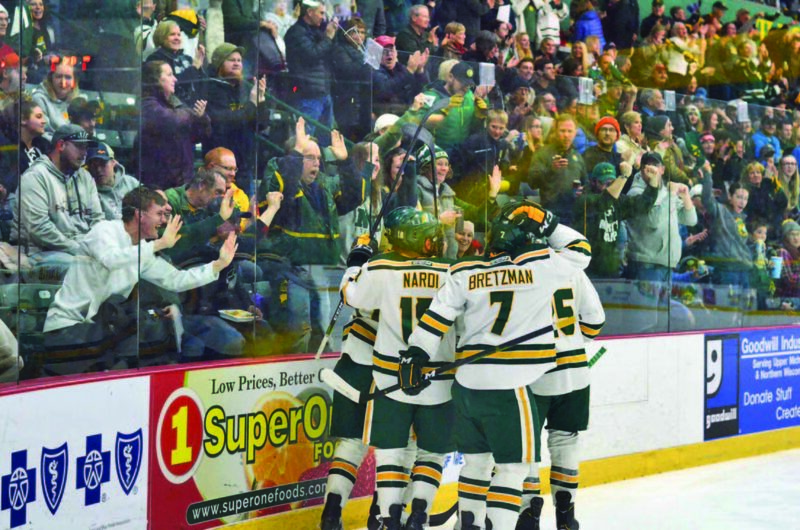 MARQUETTE — Last weekend, the Northern Michigan University hockey team received an early Christmas present, one so rare that there’s only a few that exist in the world of college hockey. The Wildcats’ present came in the form of a goal, but it wasn’t just any goal. This one came off the stick of goaltender Atte Tolvanen, who joined quite an exclusive club last Friday night. With time running out Friday night, Dec. 7 in the Wildcats’ home opener of a home-and-home series against Michigan Tech, the Huskies pulled their goalie and Tolvanen took advantage, corralling a loose puck near the net and flipping it down the center of the rink and into the back of Tech’s net. The feat not only made Tolvanen unique in NMU hockey history, but he was only the 11th goalie to accomplish that in NCAA history and only the second ever in the WCHA. Tolvanen’s rare achievement highlighted Northern’s victory, but that spark didn’t carry over the following night as it fell to the Huskies in Houghton on Saturday, making for a weekend of mixed results for the Wildcats (7-10, 6-4 WCHA), both excitement and disappointment. Starting tonight, Northern will try for two exhilarating nights instead of just one as it takes on Ferris State (4-11-1, 2-7-1) in the Wildcats’ last series before the holiday break. 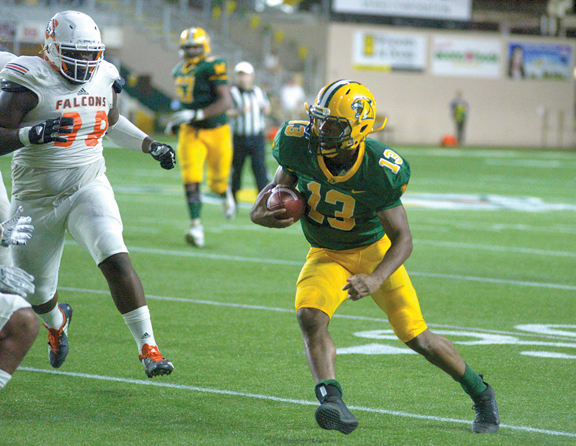 The good thing for NMU is that it’s catching the Bulldogs at a good time. Ferris hasn’t won a game since Nov. 3 and hasn’t earned a sweep since late October, but that doesn’t mean that the Wildcats aren’t dealing with a capable team. 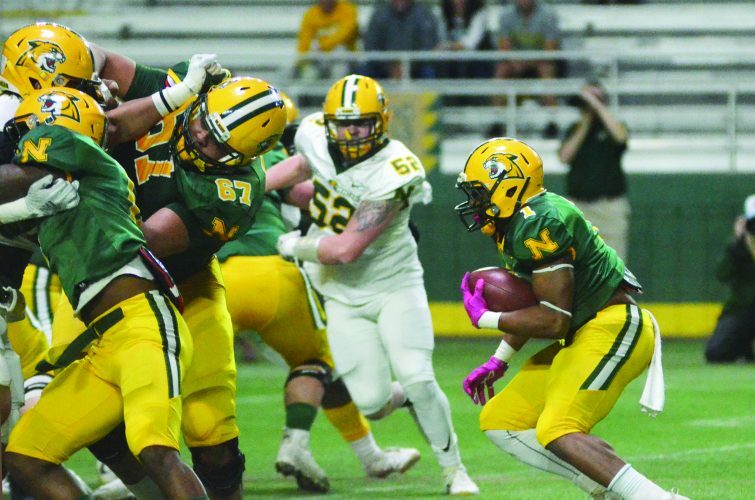 “They’ve got a couple of defensemen (Cooper Zech and Nate Kallen) that are leading their team in scoring and (Corey) Mackin is dangerous and he’s scored a little bit, too,” NMU head coach Grant Potulny said. “They’ve had a little trouble just with keeping the pucks out of their own net. “The start for them has been really crucial. They’re 3-1 … when they score first and 0-11 when they don’t. It’s going to be important that we play fast and that we come out of the gates playing at a high, high tempo and pushing for that first one. “There’s a point in a lot of games where somebody breaks somebody else’s will and I don’t know if this past weekend that was the case as much. Maybe a little bit on Friday, but I thought on Saturday, it was a pretty good game. “This weekend, we have to make sure that we’re physical and we’re fast and we’re playing with confidence because we’re in the exact same spot as we were at the exact same time last year. Ferris’ defense is struggling right now — 57th in the nation — so if Northern can finally get its surprisingly inconsistent offense clicking this weekend, it could be a big weekend. “It’s coming,” Potulny said. “We had a couple 2-on-1s on Saturday. You can’t be frustrated when you have opportunities and you don’t score. “I don’t know if we have been getting enough opportunities. Five-on-five Saturday, we outchanced them. For us, we’ve been kind of trying to live on the power play a little bit and the penalty kill had been really good up to that point. “We didn’t get many chances offensively with the power play, just the one, and they got two penalty-kill goals against us. One of them was just kind of tough luck, it kind of went off our stick, and the other was a nice play by him. 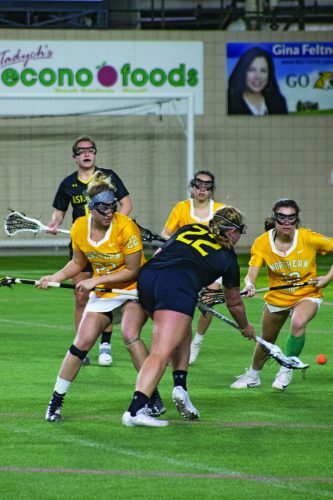 The Wildcats looked like their efforts were starting to pay off last Friday against Tech as they put five goals past the then-No. 20 Huskies. Much of that performance was largely forgotten thanks to Tolvanen’s goal, which Potulny thinks was an impressive thing to behold. “I thought Friday we played our best game of the year,” he said. “For Atte to score, what an incredible moment. Obviously, he’ll remember shutouts and he’ll remember his shutout streak, but to score a goal and being the fourth in the history of college hockey to actually shoot it into the net, not only will he remember it, but I know I will and all the people that were in the building and I think the community also. That may have been enjoyable, but the Wildcats also want to go into the holiday break on a fun note, and a sweep of the Bulldogs might be the boost they need to enter the second half of the year. 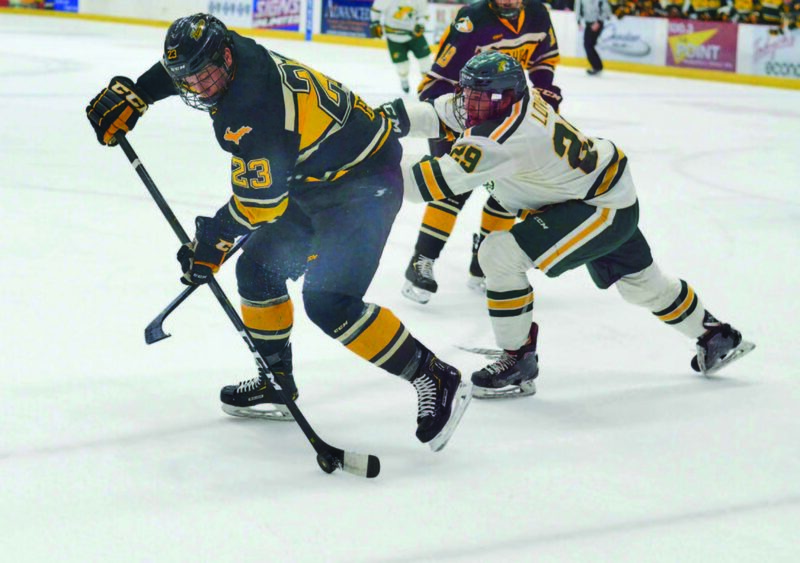 After all, NMU swept Ferris at home at this same time last year and followed that with a road win at Minnesota State to ignite the Wildcats’ impressive run to the WCHA postseason. If Northern can sweep this weekend, Potulny said it would be a great boost for the team’s mental well-being and that it will be able to relax over Christmas rather than focus on a holiday tournament like they did last year with a tourney in Las Vegas. “Being part of a Christmas tournament, it doesn’t allow the guys not only the physical break, but also the mental break,” Potulny said. “Some guys from western Canada go home and kind of recharge the batteries. Local guys just kick back and enjoy a little bit of family and the holiday break.